As a dog owner, you know full well that your dog should stay away from those small yellow and black flying insects. Unfortunately, all your dog knows is that they look—and sound—so interesting! Despite your repeated warnings and vigilant watchfulness, dogs will be dogs. Dogs and bee stings can result in a serious situation depending on how many times your dog got stung and what part of your dog’s body. And most importantly, if your dog is allergic to bee sting venom. So, let’s take a comprehensive look at what happens if a dog got stung by a bee. 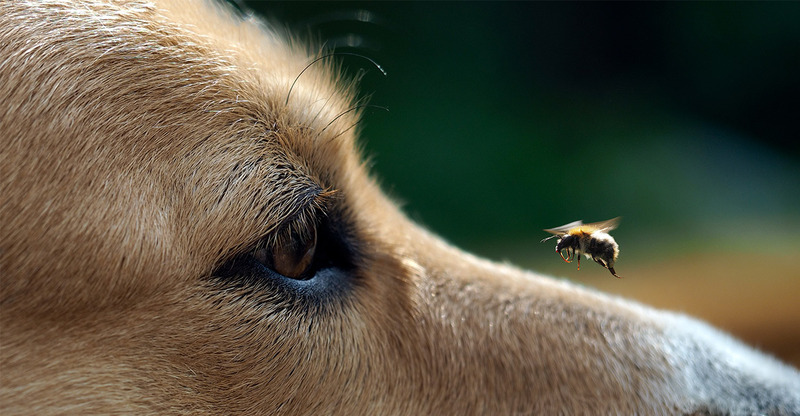 Despite well-documented canine curiosity, your dog may not mean to cross paths with a bee. For example, let’s say your dog spots a lizard. Or a squirrel. Or a butterfly. Or any number of other intriguing co-inhabitants in your backyard or local dog park. Pouncing on the opportunity, your pup goes racing after (insert moving prey here) and jumps headlong into a patch of flowering bushes! The next thing you know, you are frantically scouring the internet to find out what to do if your dog got stung by a bee! Yes, it is stressful to realize your dog got stung by a bee! But on the bright side at least it wasn’t a tarantula hawk wasp. Or a bullet ant, for that matter. According to one entomologist (insect researcher) who has actually been stung by 150 different insect species, pain-wise, the honeybee sting is relatively mild. Of course, this is all relative if you’re not the one that has been stung. Unlike other stinging insects, honeybees eject their stinger leaving it behind in their victim’s skin. Along with the ejected stinger, a small venom sac continues pumping painful venom into the open wound. So you definitely want to move quickly to make sure your dog gets relief from the pain AND appropriate medical care! More important than where your dog got stung by a bee, the first question you need to answer is whether your dog’s reaction seems severe. In some dogs, bee venom will induce mild pain and localized swelling or redness. Your dog will likely feel better with at-home care in 24 hours or so. However, if you are wondering whether dogs can be allergic to bees just like people can, the answer is a resounding YES. In this case, symptoms are much more severe and even life-threatening. Therefore, it’s best to act quickly and bring your dog to the emergency vet. Keep reading to learn exactly what symptoms to watch out that could indicate a bee sting allergy. The next question you need to answer is where has your dog been stung. When disturbed or threatened, a bee will sting the most accessible area, which is why dogs are commonly stung on the paw after stepping on a bee. Limping can be a telltale sign of a bee sting on the paw. Similarly, stings on ears, noses, and sometimes even inside canine mouths are also frequent. A bee sting on dog paw is sufficiently serious, but what about a dog stung by a bee in the mouth? Or a dog bee sting on the face or eye? 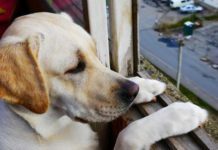 Try to find where your dog got stung by looking for an area that seems to be irritated (such as a paw held off the ground when she walks) or even look for the stinger itself. Unlike other stinging insects such as wasps, spiders or ants, a bee can only sting once. If you find the stinger, then your dog got stung by a bee. Look for a small barbed black sac hanging out of your dog’s skin. If you locate the sac, gently scrape it off using a flat knife or even a leaf. But do NOT use tweezers since this can pump more venom out of the sac into your dog’s skin. Safely removing the embedded stinger and sac will stop more venom from being injected under your dog’s skin and minimize pain and any potential allergic reaction. So, what if your dog eats a bee? When a dog eats a bee, it usually isn’t intentional. Your dog was likely trying to catch the weaving, buzzing black and yellow object, not realizing the unpleasant consequences awaiting him once the prize has been captured. Unfortunately, if your dog eats a bee and is stung inside the mouth, it can be hard to figure out what exactly is causing your dog’s pain. Even with a flashlight, you may not be able to find the venom sac or it may have been washed down your dog’s throat. The best course of action is to take your dog to the vet as soon as possible! 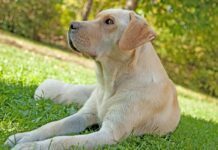 What dog bee sting symptoms should you look for? Do symptoms like vomiting indicate your dog is having a serious allergic reaction to the bee sting? Dog bee sting symptoms can range from mild to severe. And the more severe the reaction, more symptoms are likely to show up. While it may seem intuitive that symptoms will be more serious in smaller dogs, this isn’t always the case. Any dog of any size can have a serious allergic reaction to a bee sting. A mild reaction to a bee sting may involve a small amount of swelling or redness at the site of the sting. A sign of a severe allergic reaction (anaphylactic shock) may be a large amount of swelling at the site or even in the throat or face. And may even cause breathing difficulties. 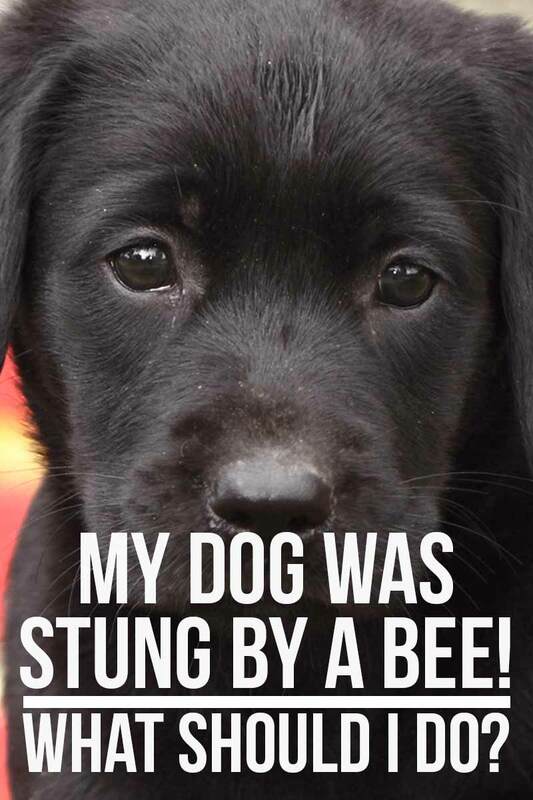 So how can you treat a dog bee sting? The method of treating your dog’s bee sting will be determined by the seriousness of the reaction. 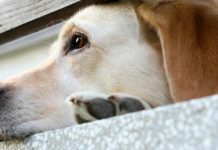 If your dog only seems to be experiencing mild symptoms, there are a few things you can do at home to minimize discomfort and speed up the healing process. For mild cases, how to treat a bee sting on a dog can involve administering dog bee sting Benadryl plain tablets or capsules according to your vet’s recommendations. Your dog’s size, age, and overall health can determine how much Benadryl can be administered safely at one time. If you are unsure, it is best to call your vet or just take your dog in for an emergency exam. Your vet may prefer that you use the oral antihistamine diphenhydramine (generic Benadryl) instead. 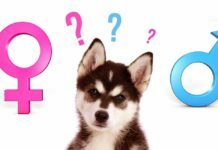 The choice often depends on your dog’s individual health history, so it is worth calling your dog’s vet to find out. It is also important to know that Benadryl or diphenhydramine will not stop an unfolding case of anaphylactic shock. The right course of action is always to take him speedily to the animal emergency clinic for treatment. 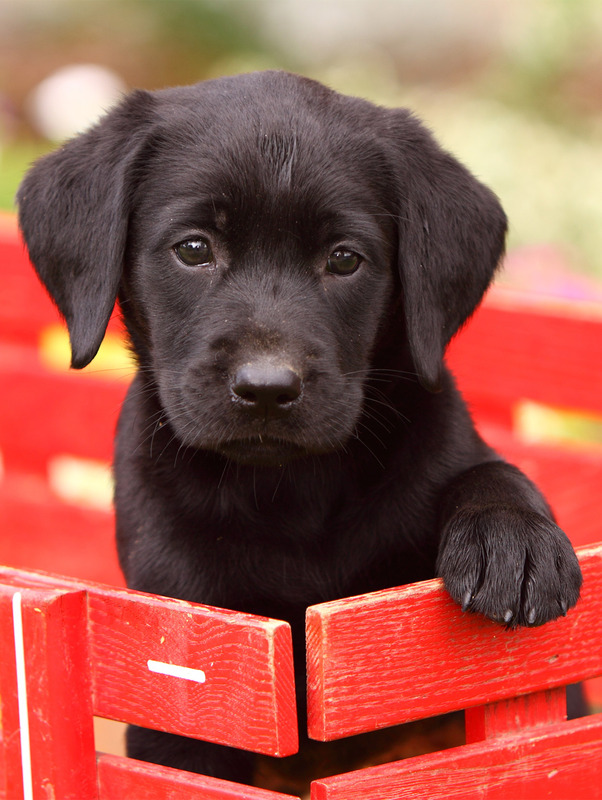 For mild cases, your vet may suggest you keep your dog at home and treat her there. You may want to use cool compresses (baking soda and water mixed into a paste and applied to the sting site works well). Or even give your dog an oatmeal bath for multiple stings. You can also apply an ice pack to numb the area and alleviate your pup’s discomfort. A bag of frozen peas works particularly well here because of how easily it can be packed around the sting site. You can also take a wet towel, place it in the freezer for a while, and then apply it to the sting site if your dog tolerates that better. Some dogs can’t seem to resist re-injuring the sting site by pawing or scratching or licking at it or even pulling off any protective bandaging. In these cases, typically your only option is to use a head cone (Elizabethan collar). 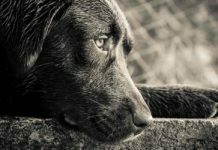 For mild symptoms, it is usually advisable to give your dog plenty of fresh water to drink and softer, palatable food such as dog kibble soaked in water or broth. For severe symptoms, follow the vet’s recommendations regarding food and water. If your dog seems to be getting rapidly worse, the only course of action is to get your dog to the emergency animal clinic ASAP! A severe case of anaphylactic shock generally requires hospitalization—sometimes overnight. Your dog’s vet may need to administer intravenous antihistamines and fluids for rehydration, intubate (place a breathing tube), or provide other emergency care. Although these methods may seem extreme, they can and do save canine lives after bee sting incidents! Making a dog bee sting first aid kit can help you react quickly if your dog ends up on the wrong end of a bee. 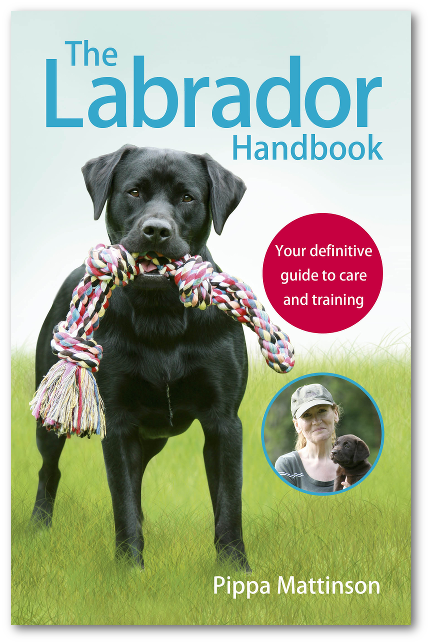 Dog owner wisdom suggests carrying a general-purpose dog first aid kit with you and keeping one at home as well. Add supplies for treating insect stings and ask your dog’s vet for specific recommendations on what you should keep at hand! Another option is to purchase a premade pet first aid kit and add to it based on the recommendations of your dog’s vet. What should you do if your pooch is stung by a bee? 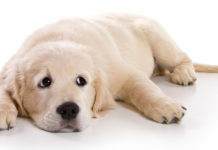 Even experienced dog handlers, breeders, and owners have been known to panic when presented with a whimpering pup with a bee sting. Don’t beat yourself up if you feel anxious or even panicky—remember, most dogs can’t resist buzzing bees and there is nothing you can do to train that instinct out of your pooch! Rather, take some time now to assemble an at-home and travel first aid kit for your dog and always keep it in an easily accessible place. You may want to make one for the house and one for the car, just in case. Then you will always have a remedy at hand! And if your dog has a severe reaction to a bee sting, you will at least buy yourself time before you get to the emergency animal clinic. Has your dog ever been stung by a bee? Share your story in the comments! Didn’t know there was an issue. On lazy summer days our labrador used snap both bees & wasps out of the air for sport & swallow them whole. She continued to do this through her 15/16 years of life. A quick snap & a swallow. I suppose she was either immune to the sting, or too quick for the bee.